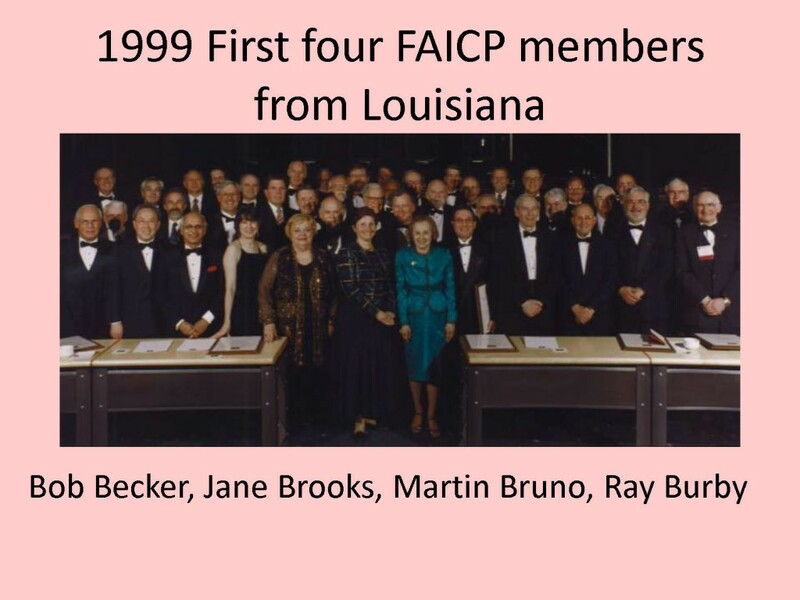 Jane Brooks, FAICP has served as our Chapter Historian. 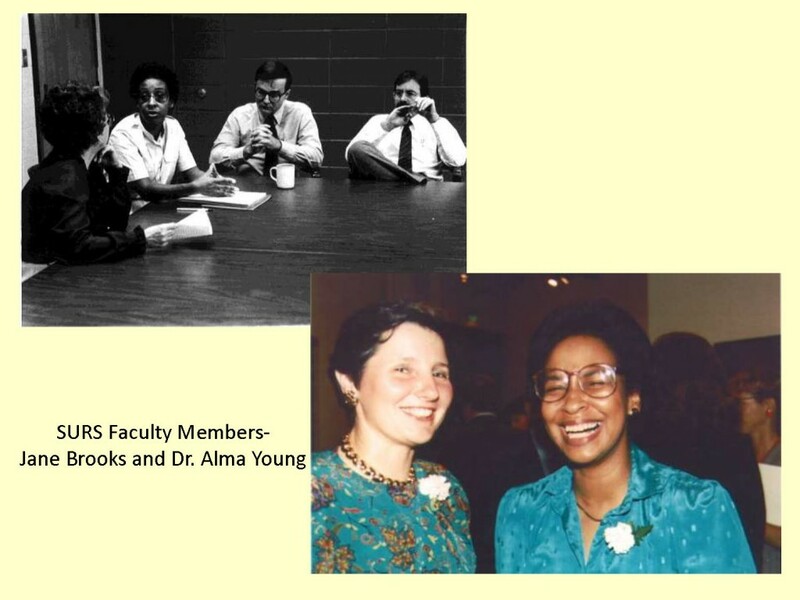 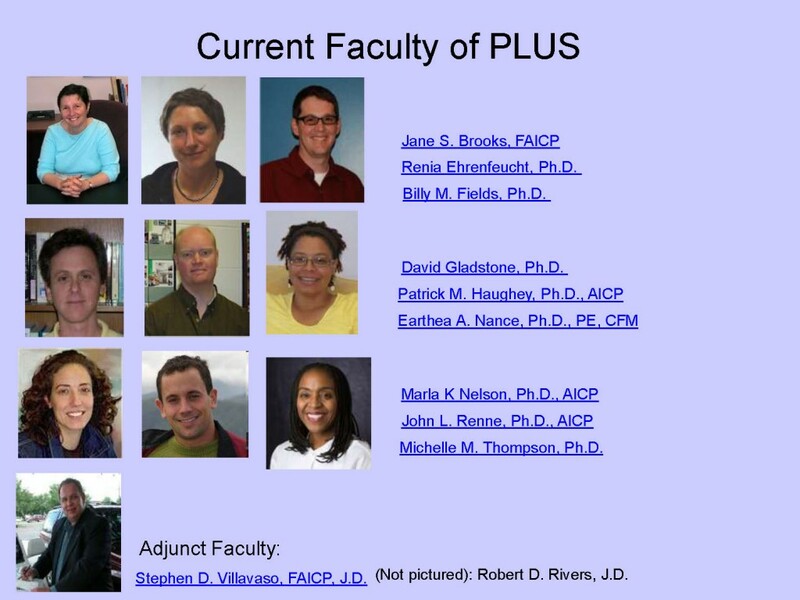 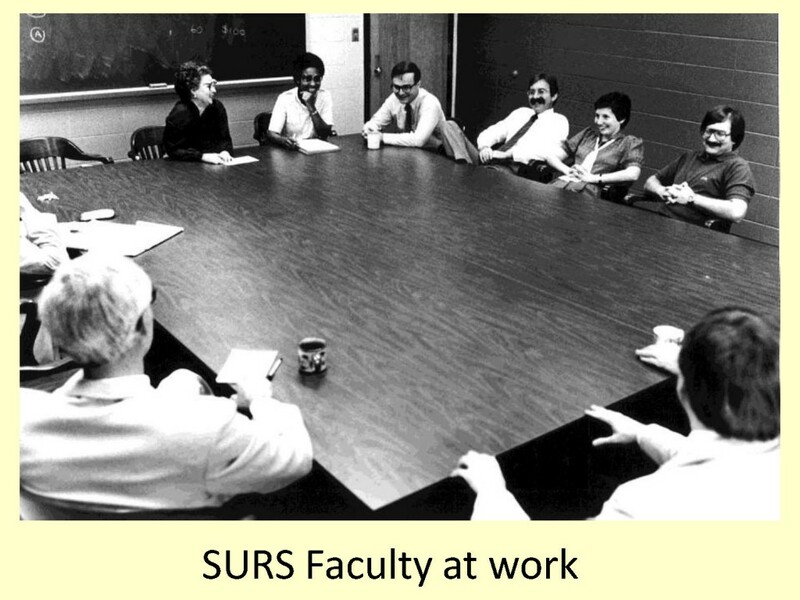 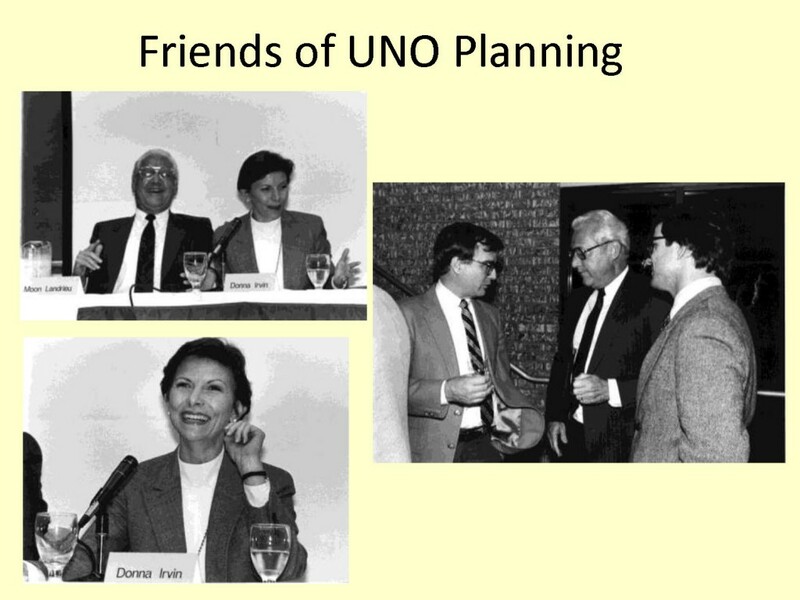 Jane is faculty emeritus of planning and urban studies at UNO's PLUS department where she previously served as Department Chair and professor. 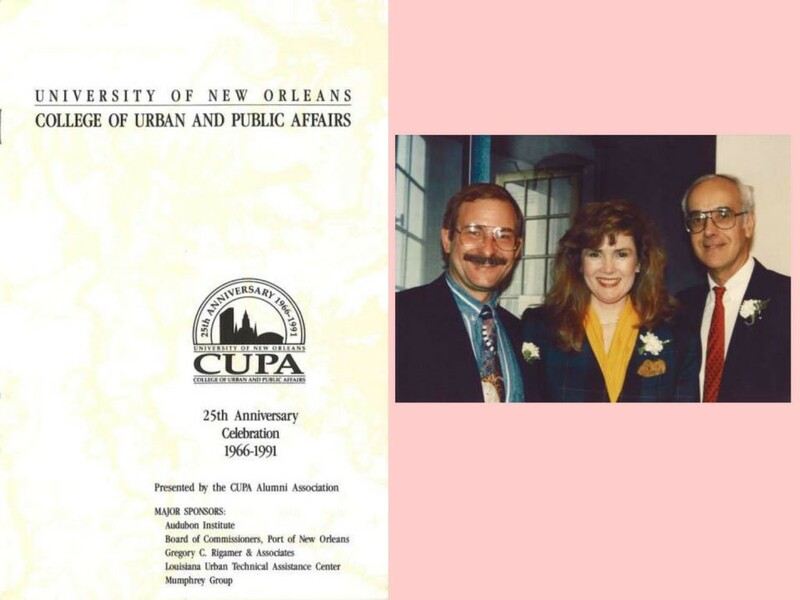 She is a Jean Brainard Boebel Chair in Historic Preservation, and past Program Coordinator for UNO's Master of Urban and Regional Planning (MURP) program. 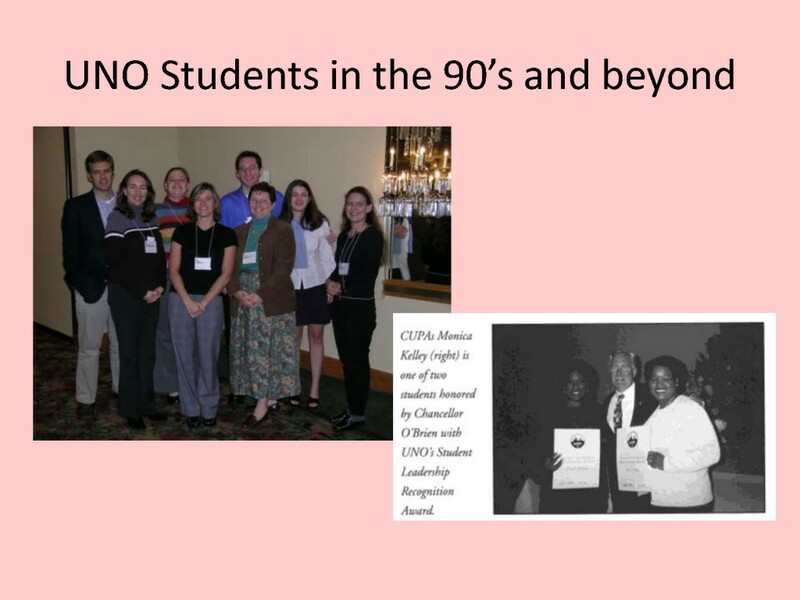 Ms. Brooks holds a BLA from LSU and an MLA from the Harvard Graduate School of Design. 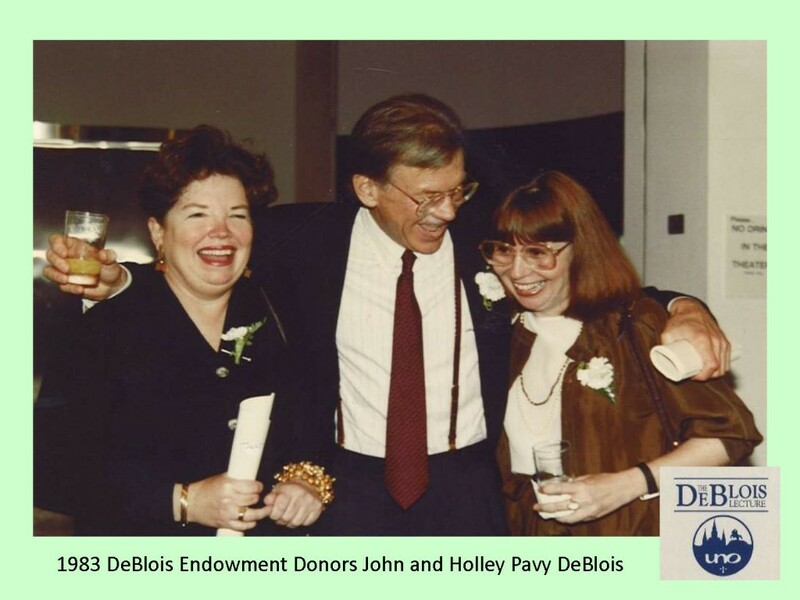 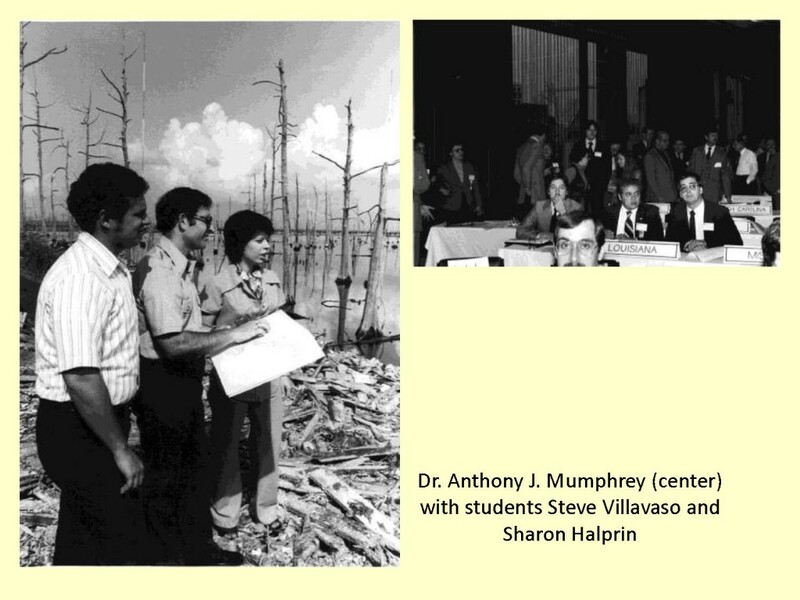 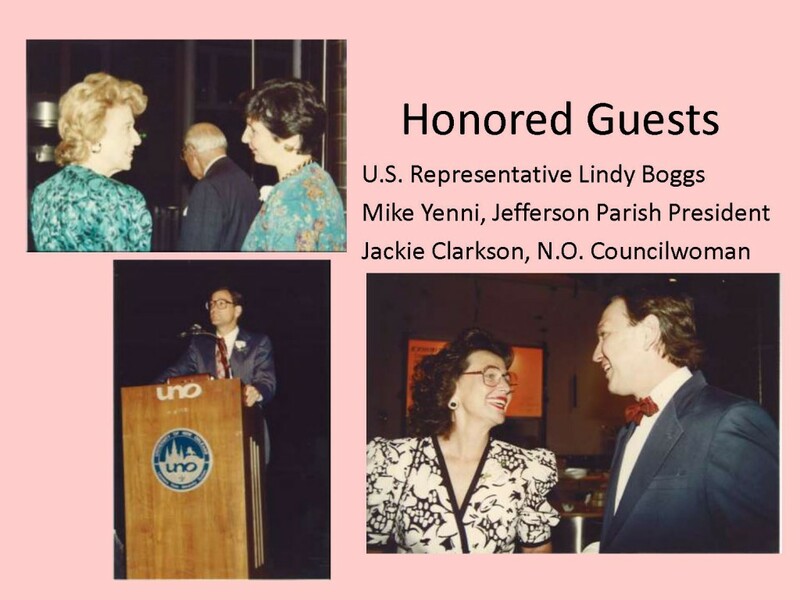 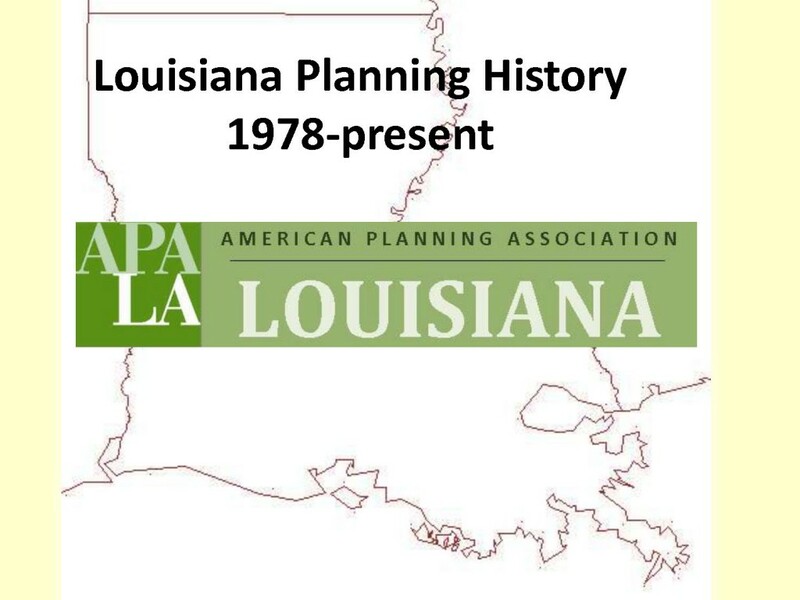 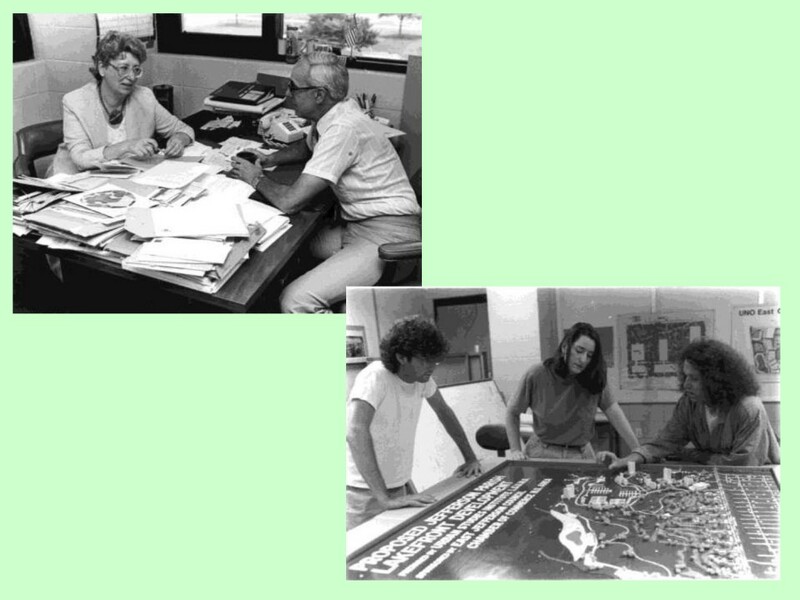 Jane prepared a "Louisiana Planning History" presentation which is available as images or a PDF file below. 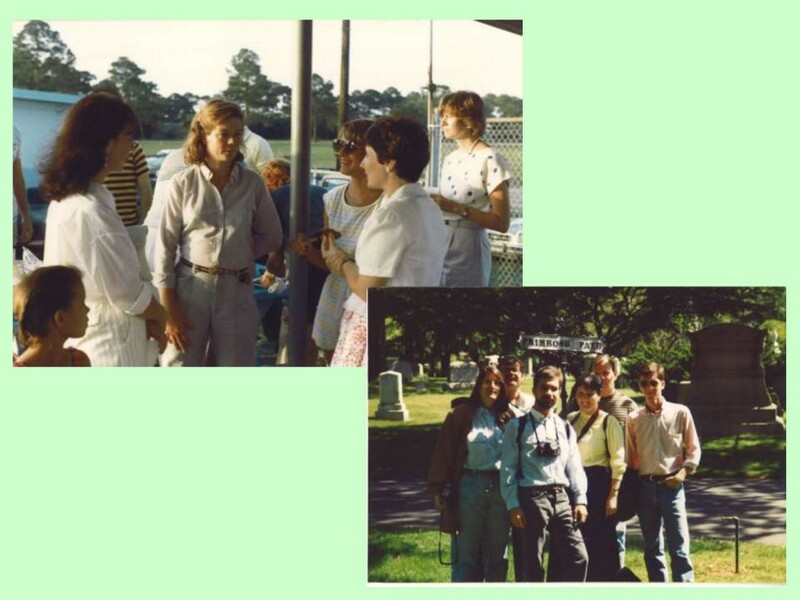 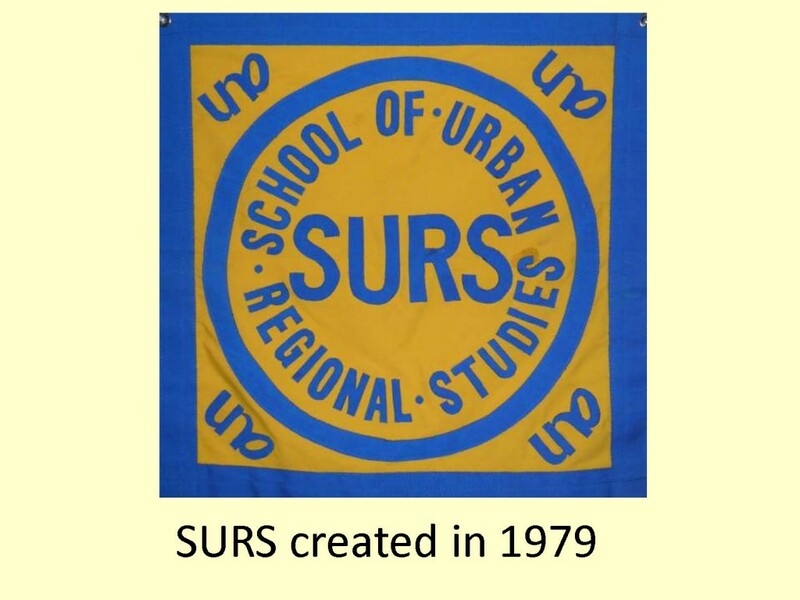 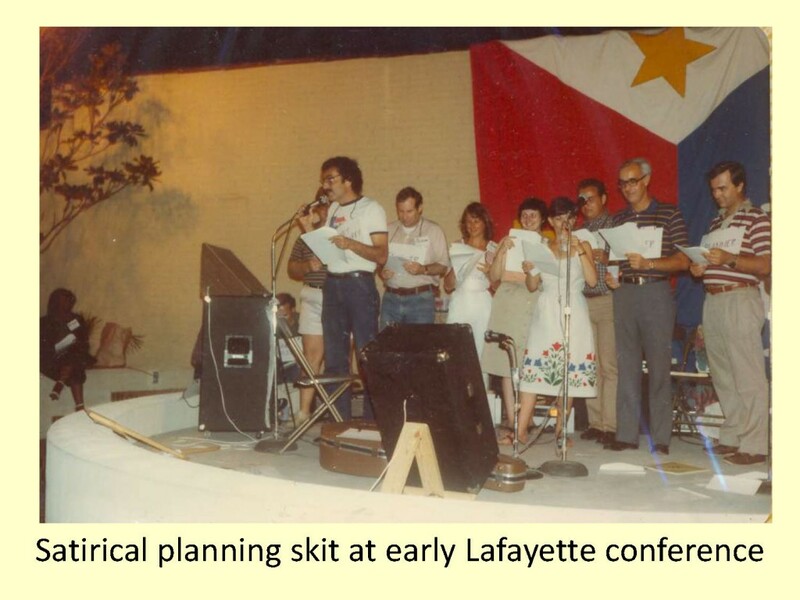 The Louisiana Chapter was formed in the 1975 when the Louisiana Chapter split from the Texas Chapter. 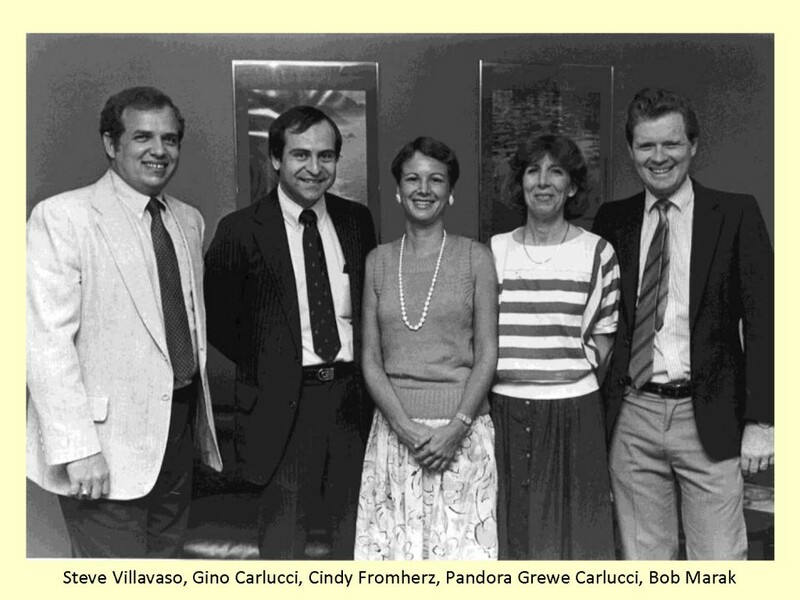 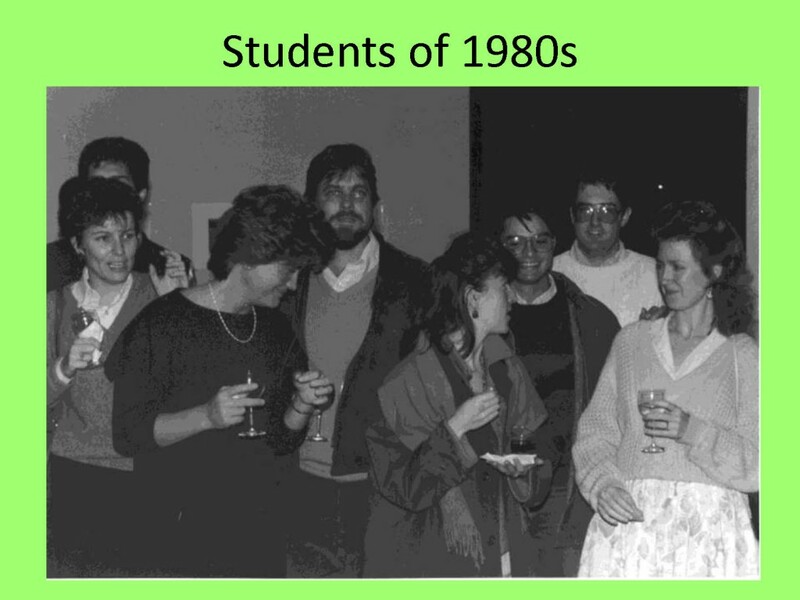 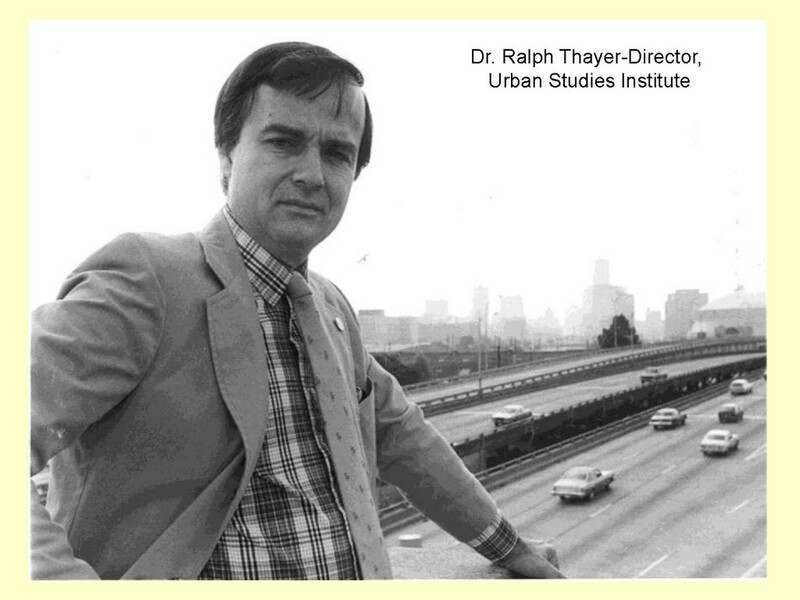 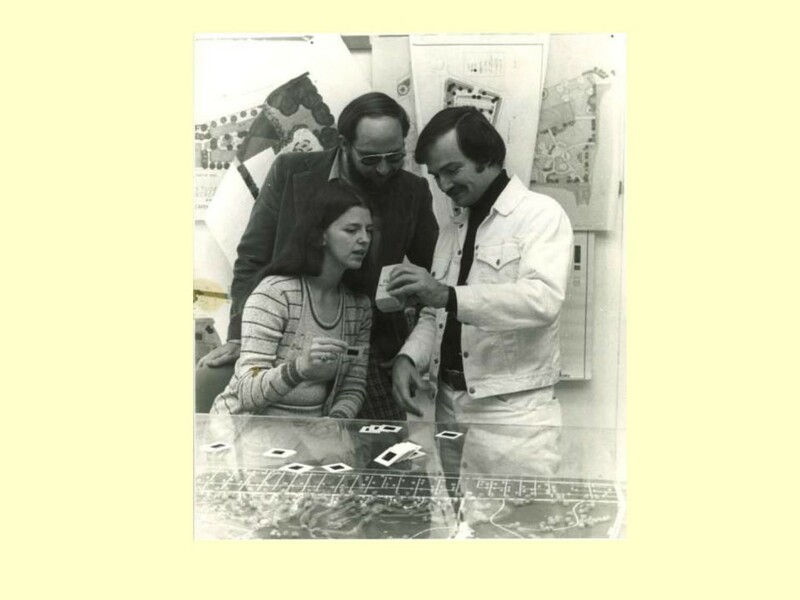 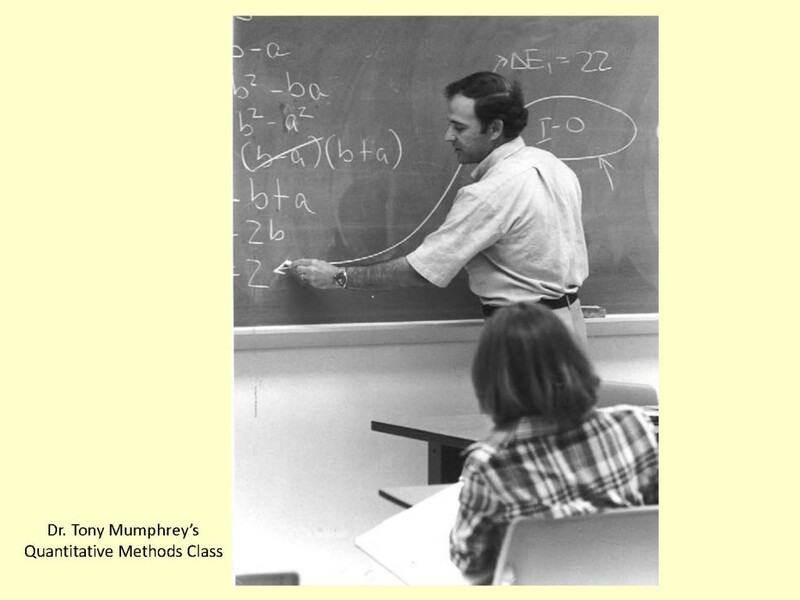 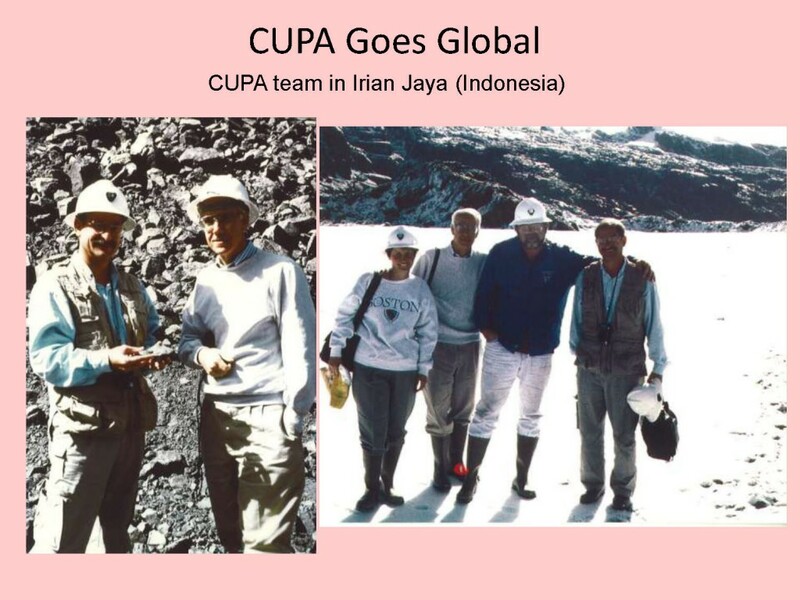 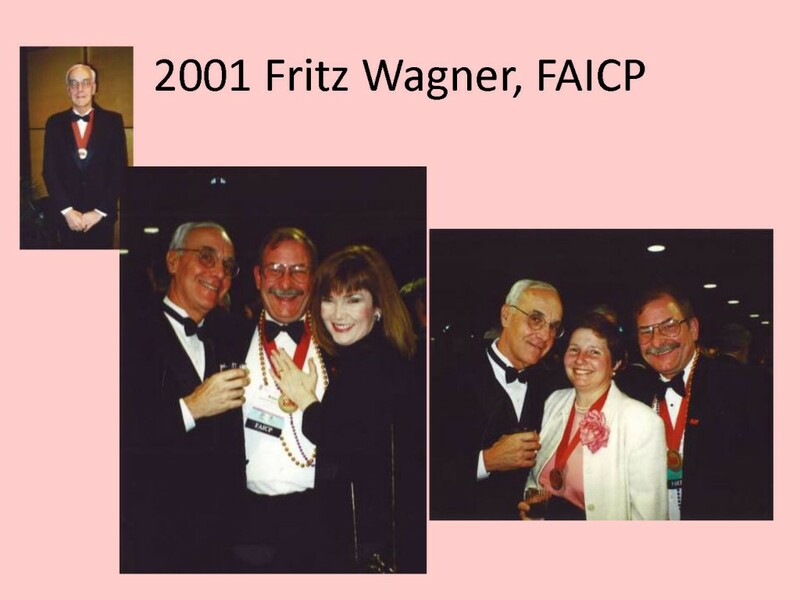 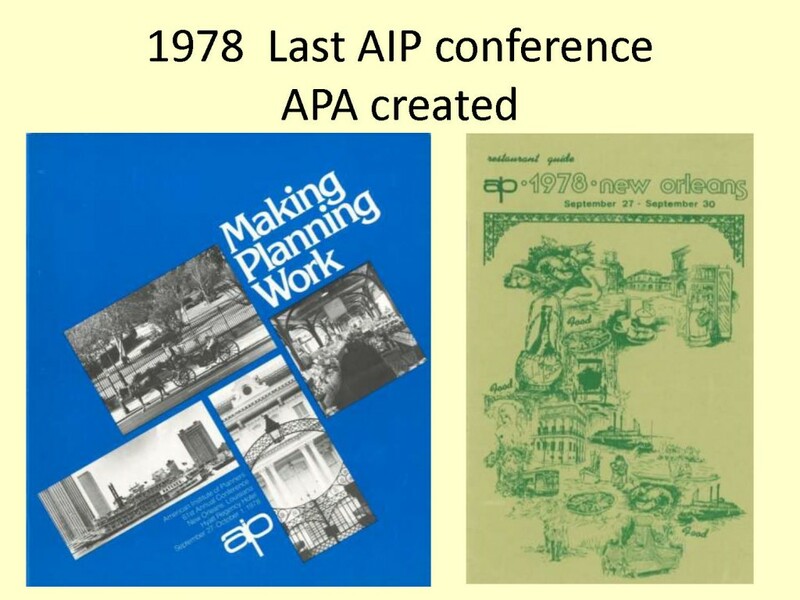 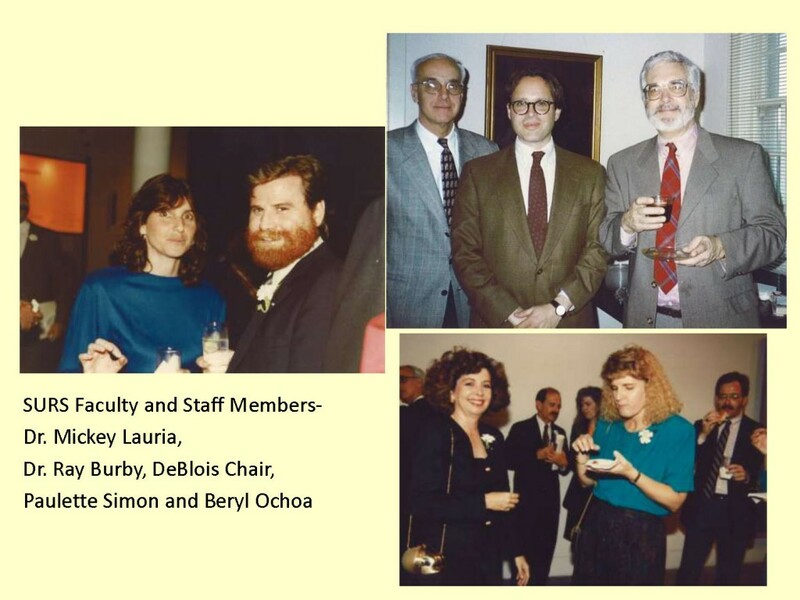 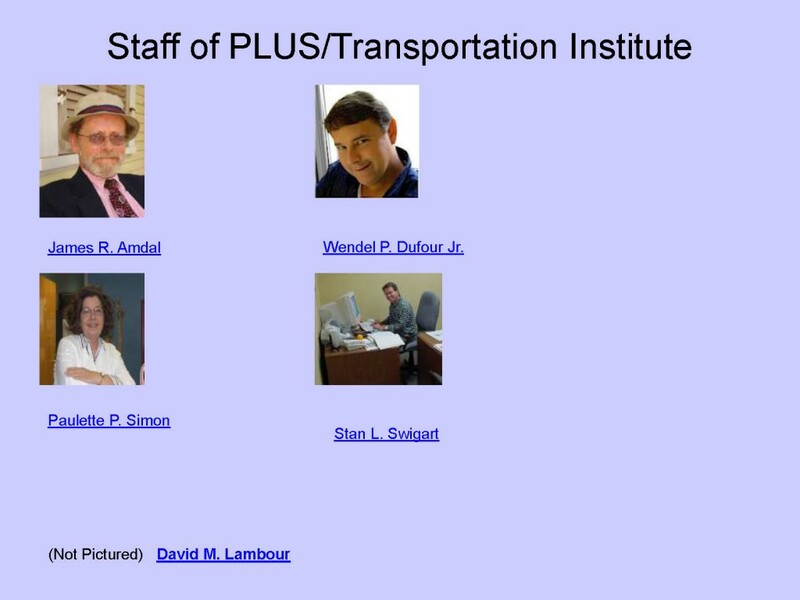 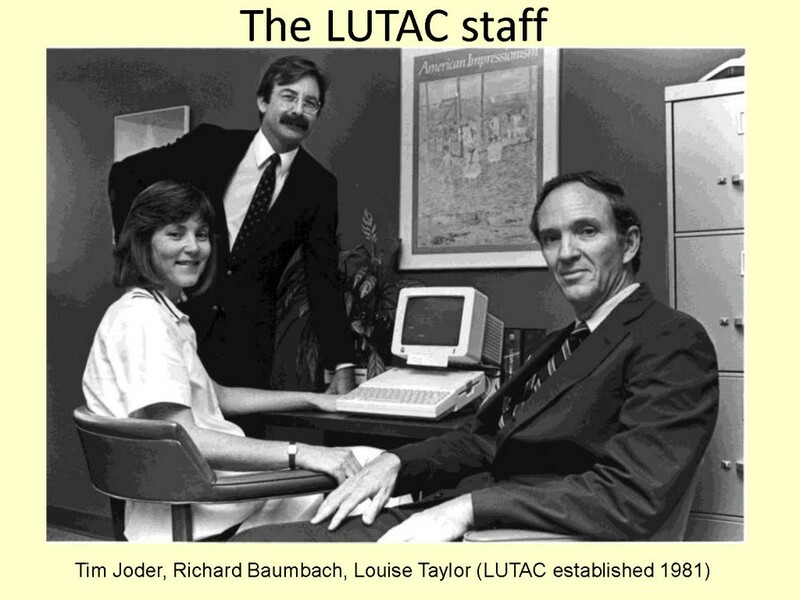 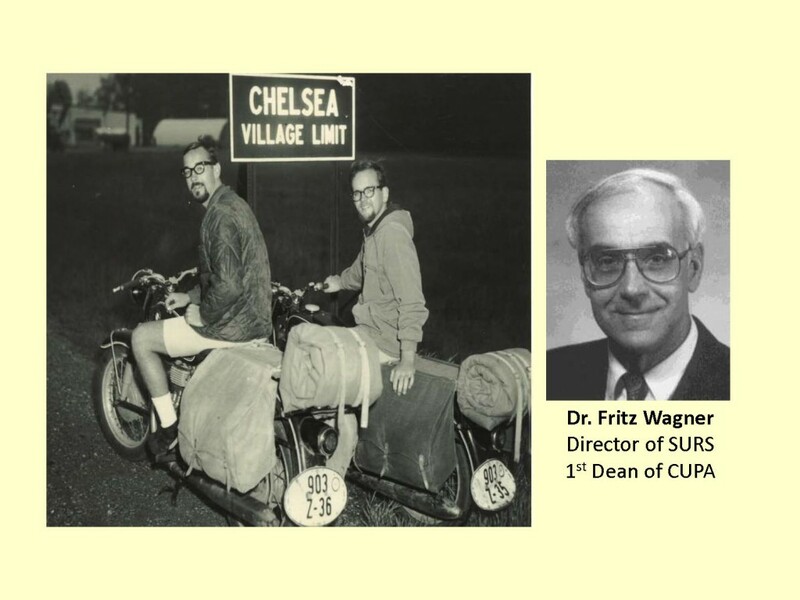 Prior to 1978 the organization was called the American Institute of Planners (AIP). 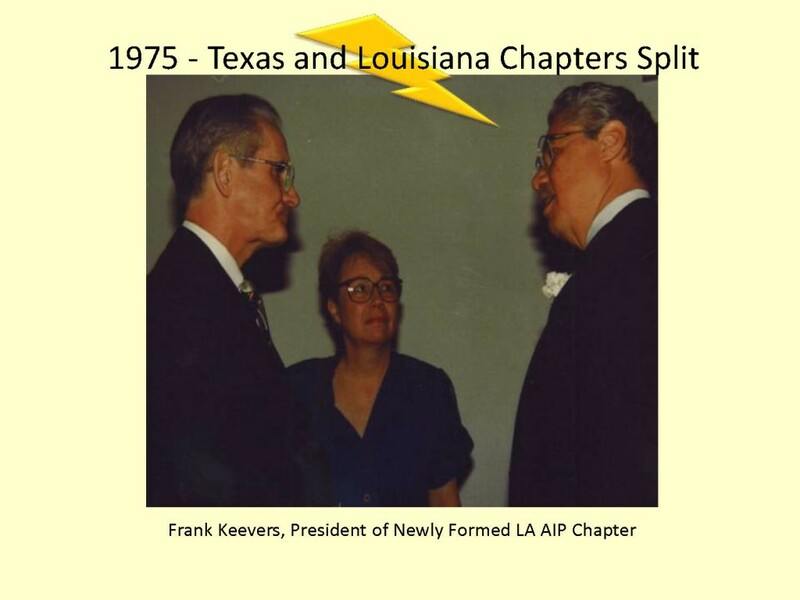 Francis "Frank" Keevers became the first President of the Louisiana Chapter. 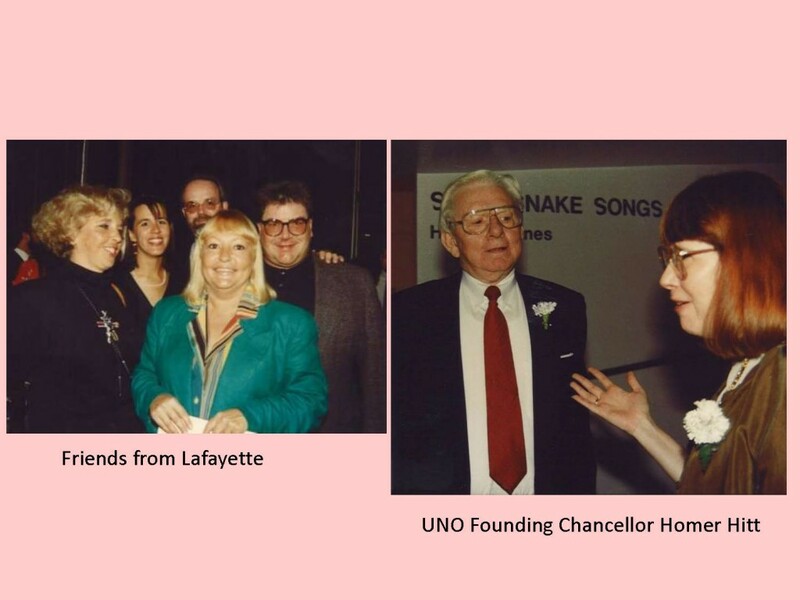 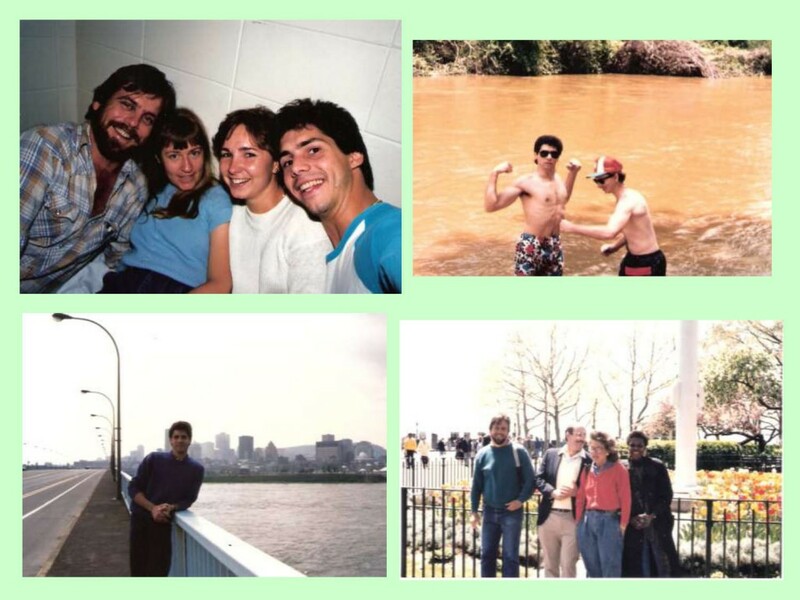 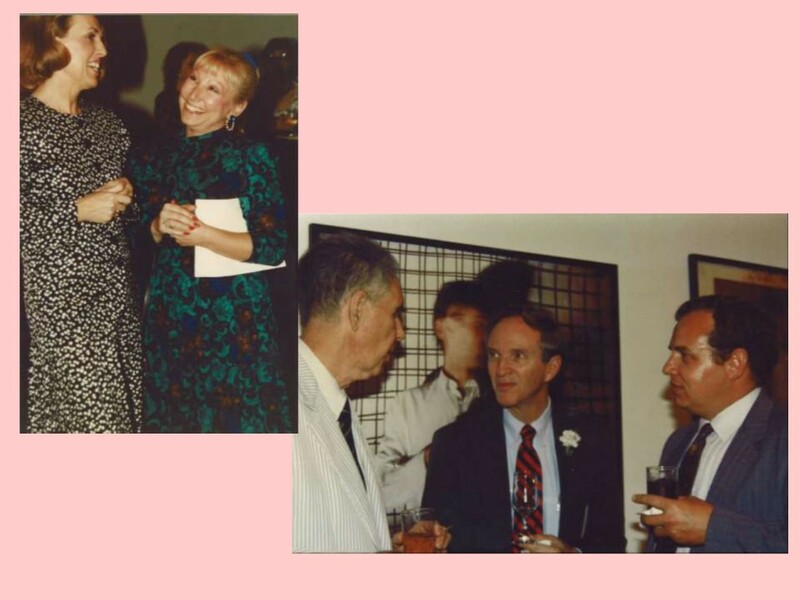 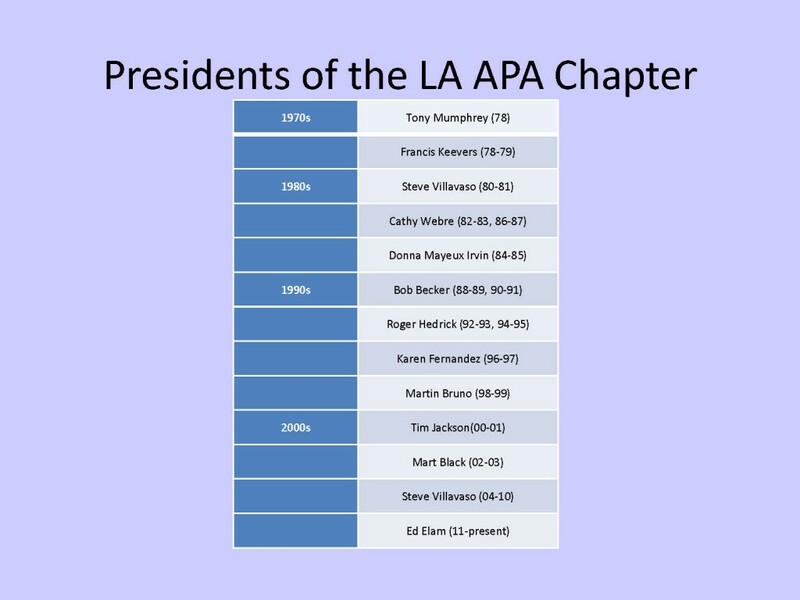 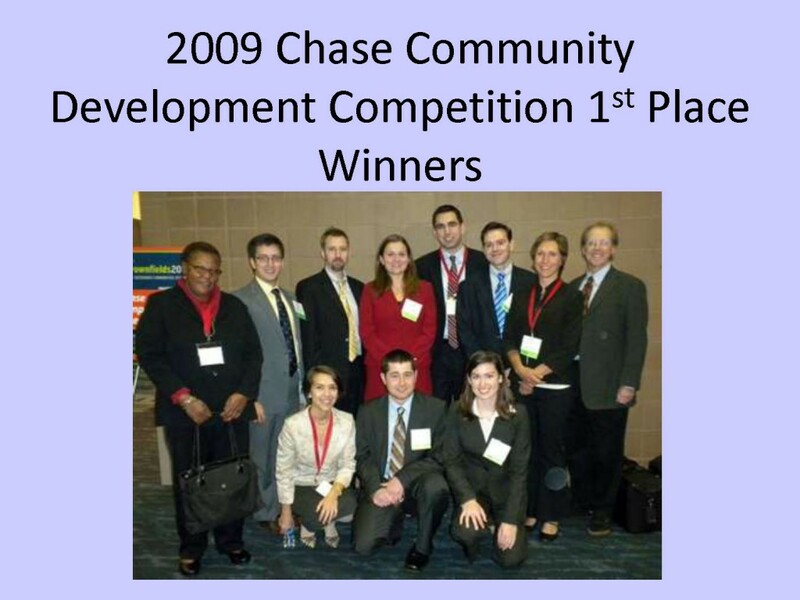 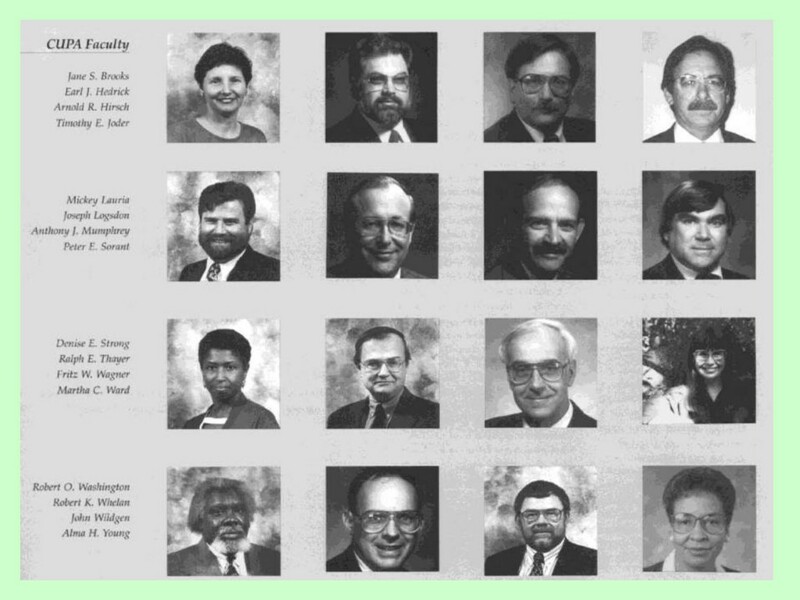 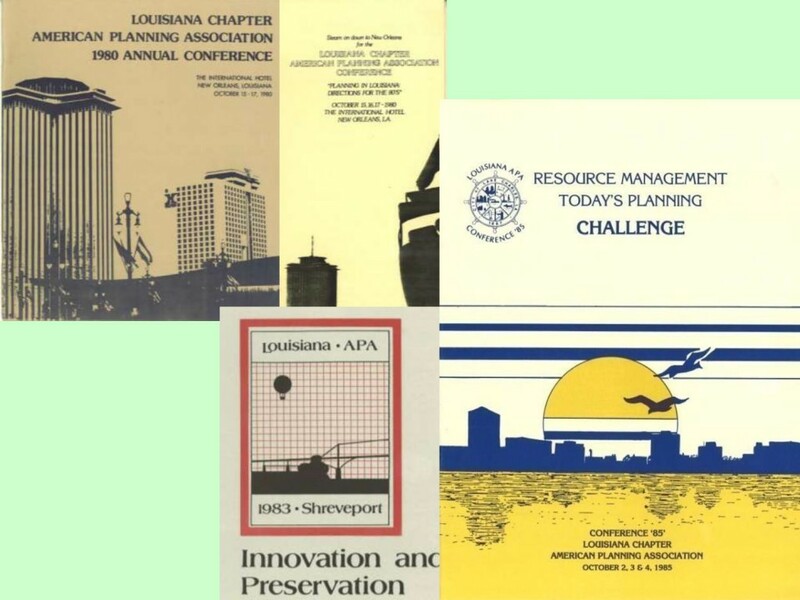 Here is a chronology of Louisiana planners who have served as Chapter President. 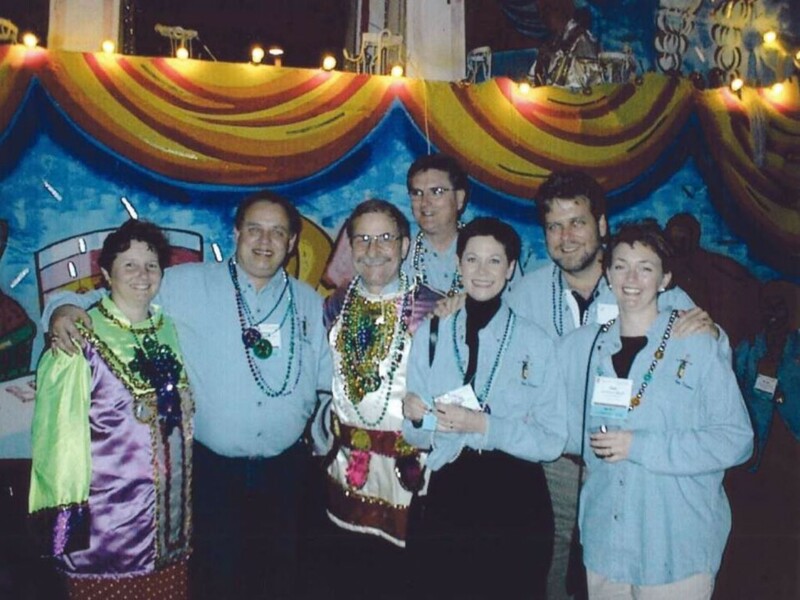 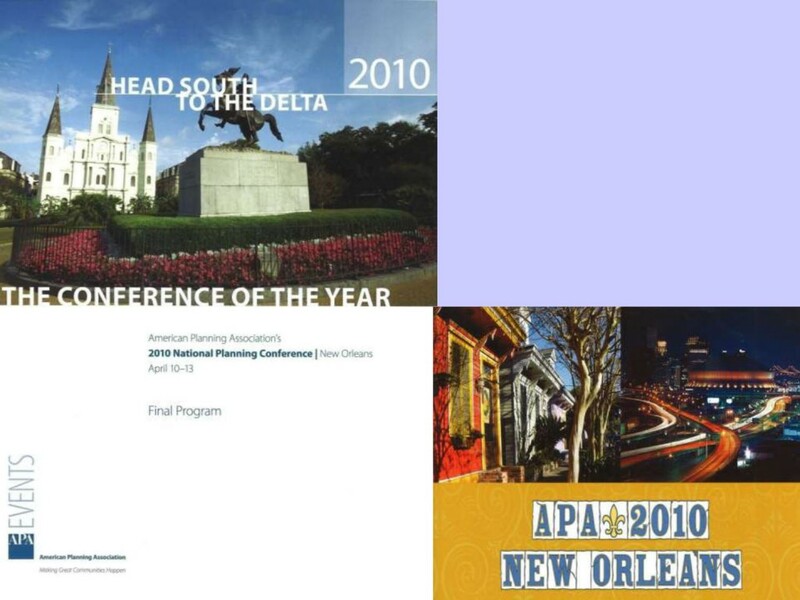 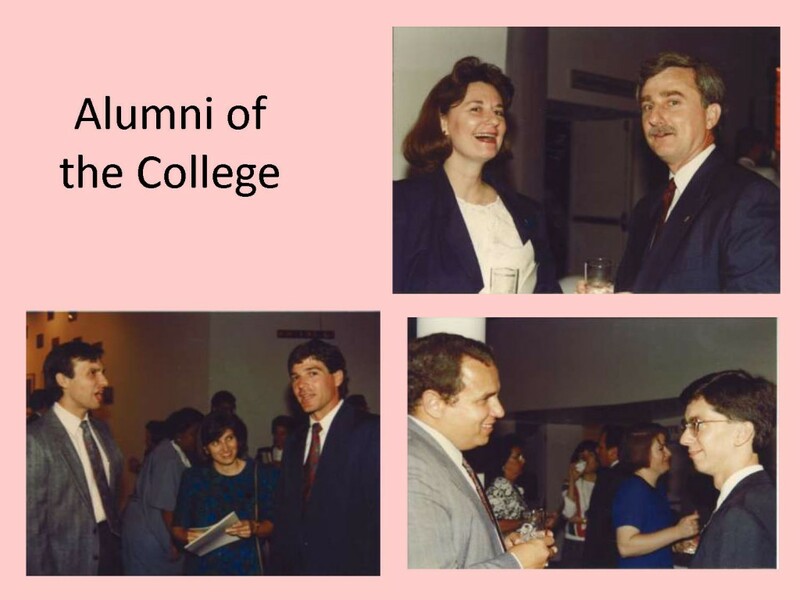 The Louisiana Chapter has hosted the APA National Planning Conference in New Orleans four times. 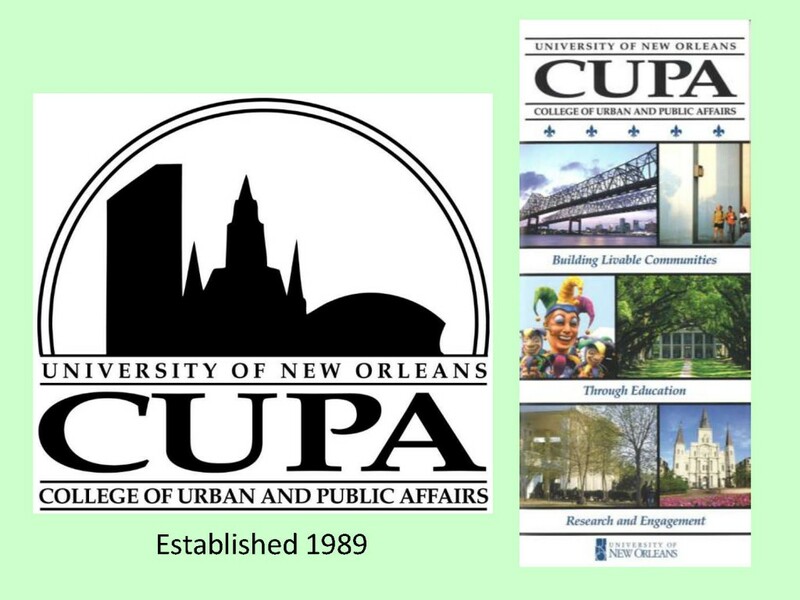 We are very excited to be selected to again host the national planning conference in New Orleans during May of 2018. 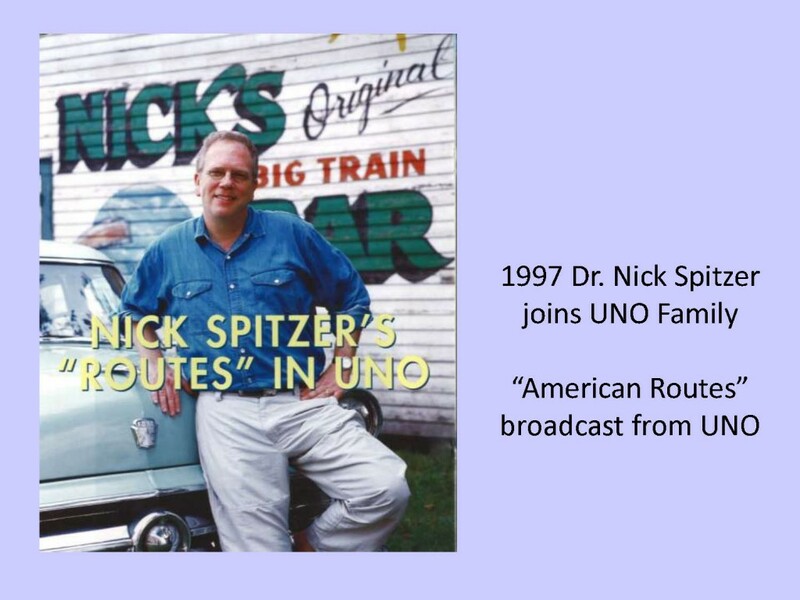 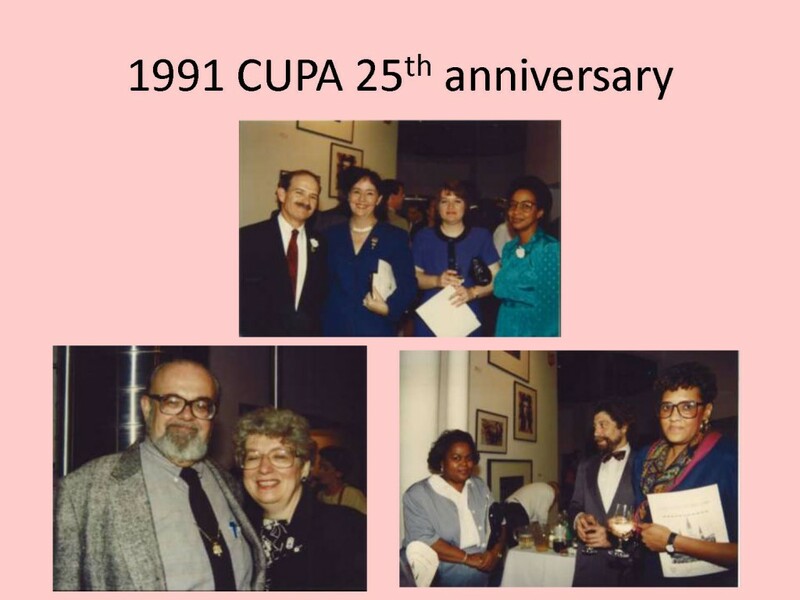 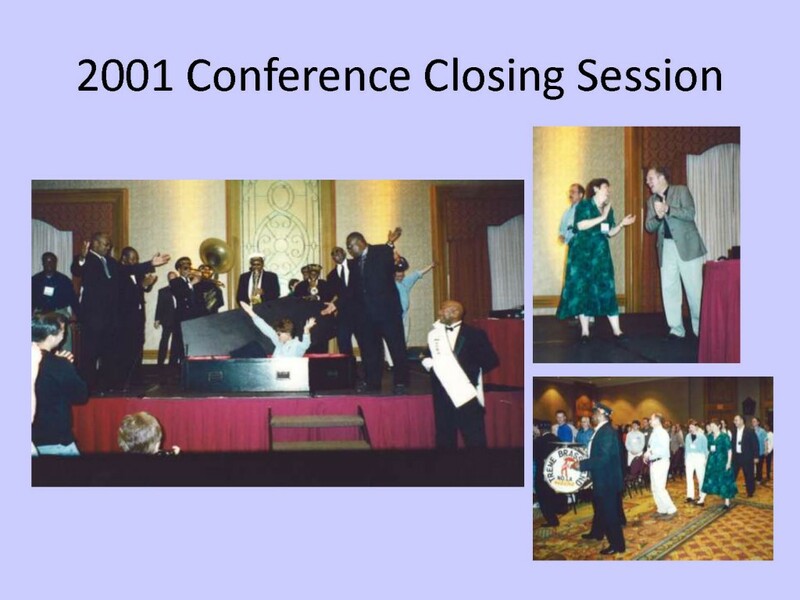 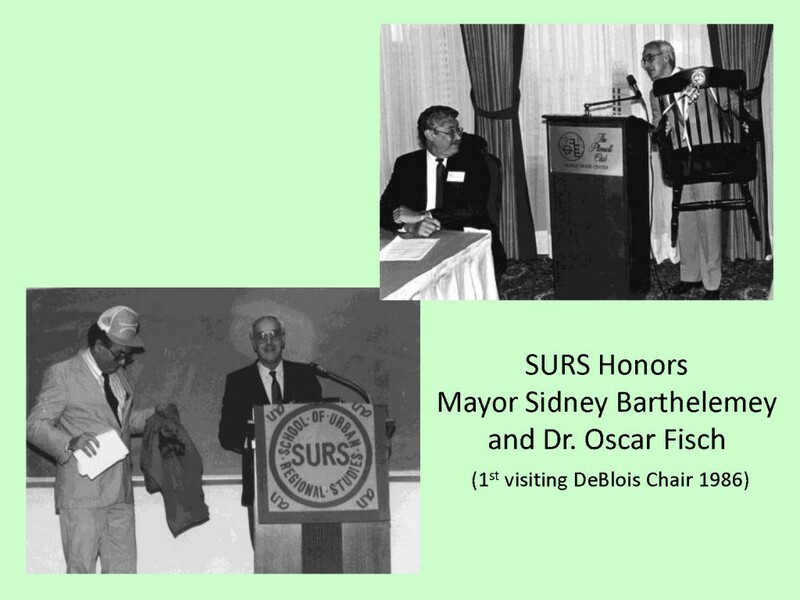 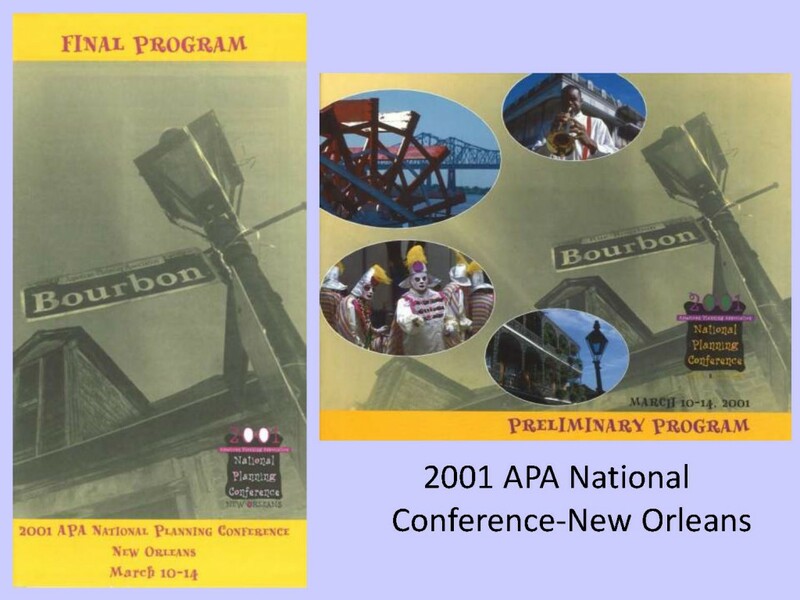 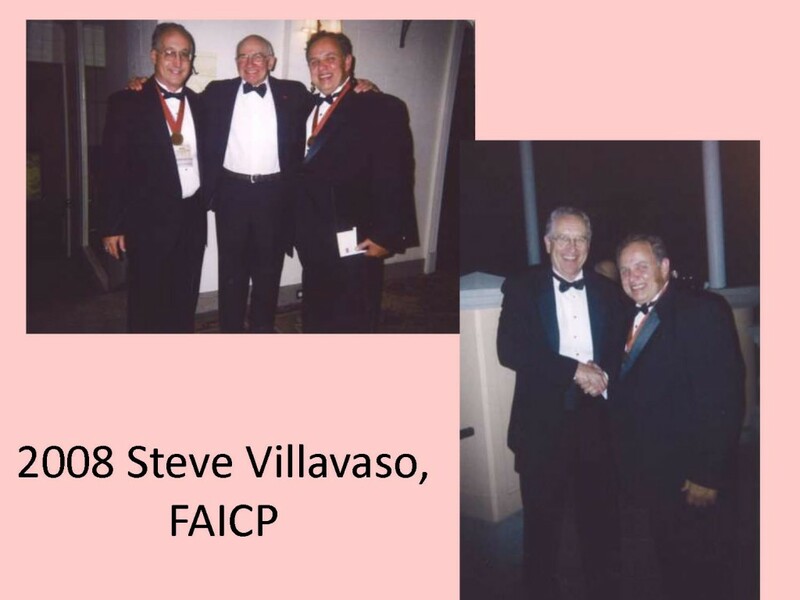 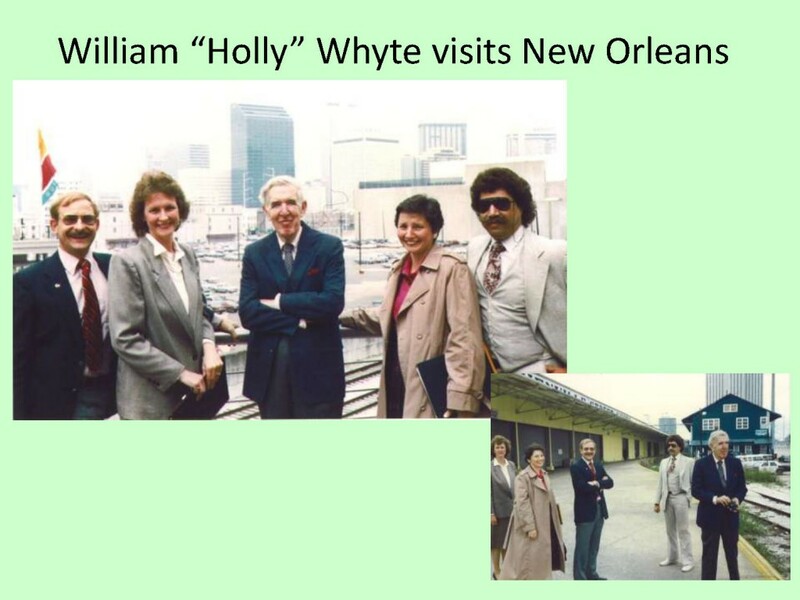 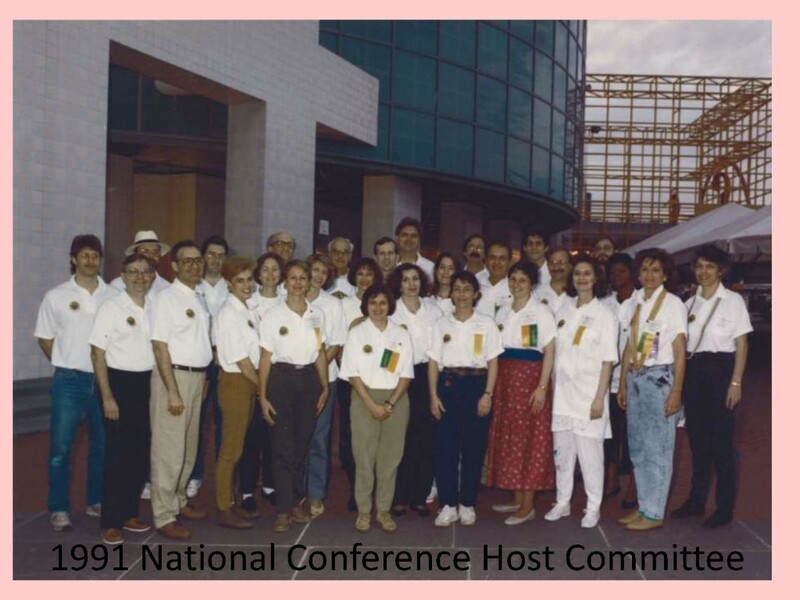 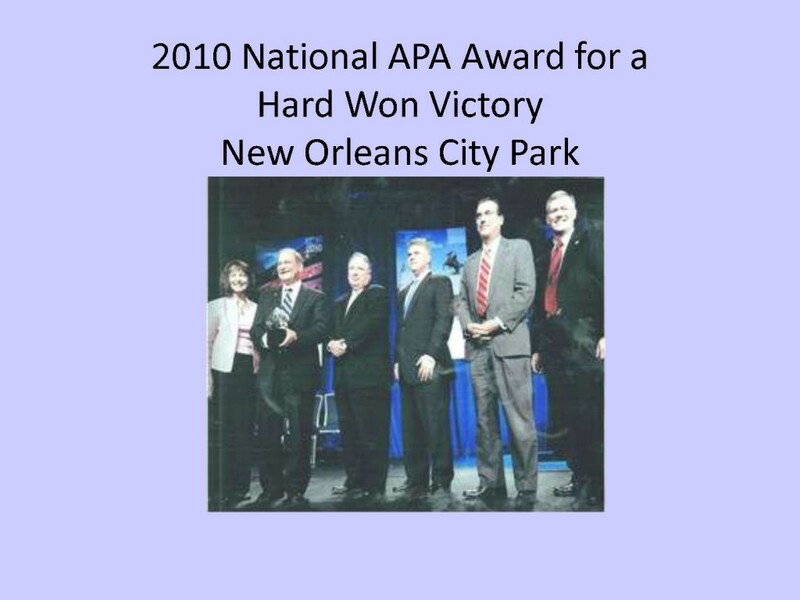 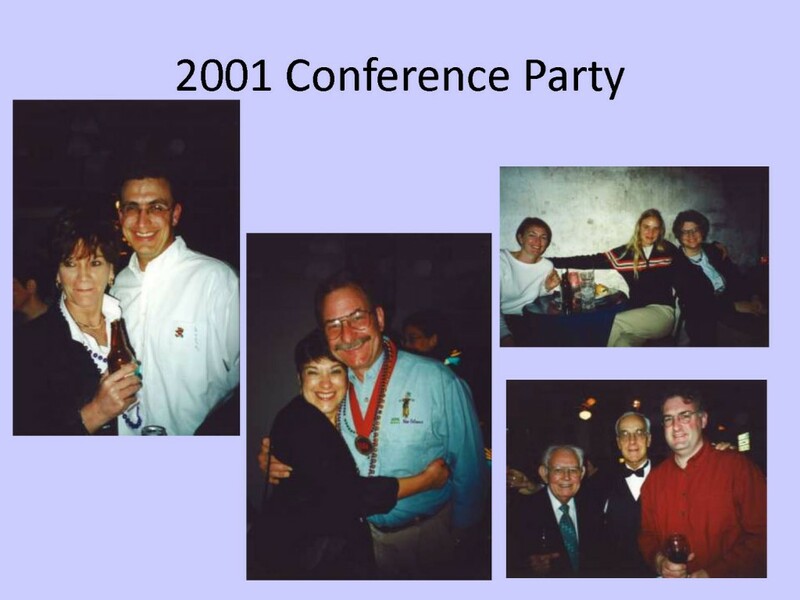 This first national planning conference held in New Orleans occurred before ASPO combined with AIP. 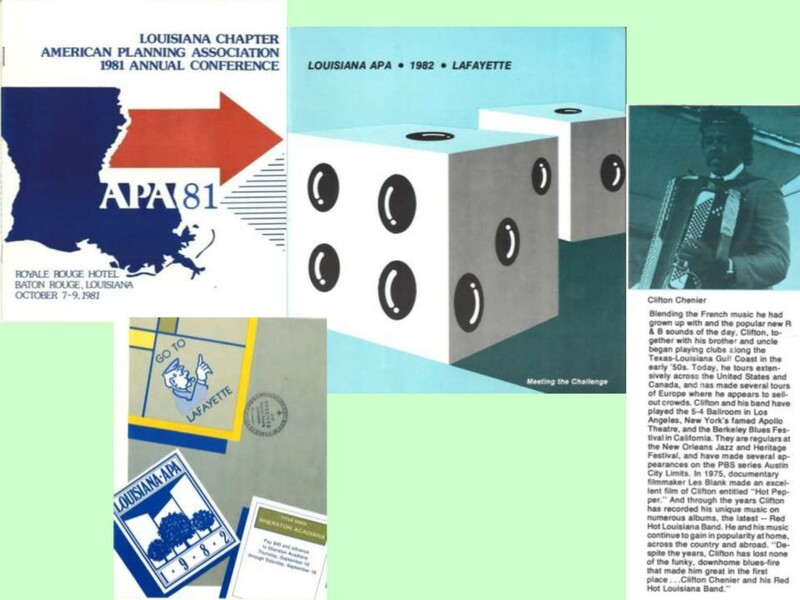 There was a "Planning" magazine at this point published by ASPO, but we haven't located issues. 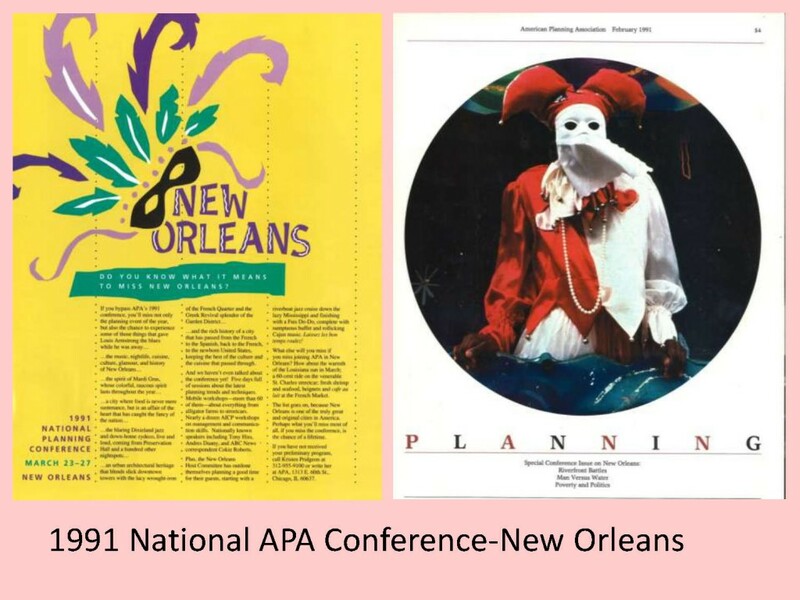 This second national planning conference held at the Hyatt Regency in New Orleans occurred before the AIP's name change to APA. 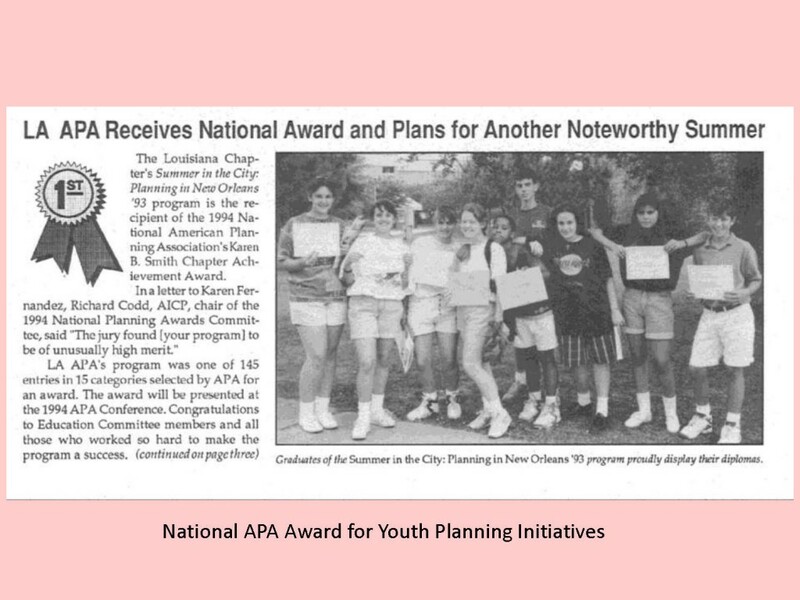 The theme was "Making Planning Work." 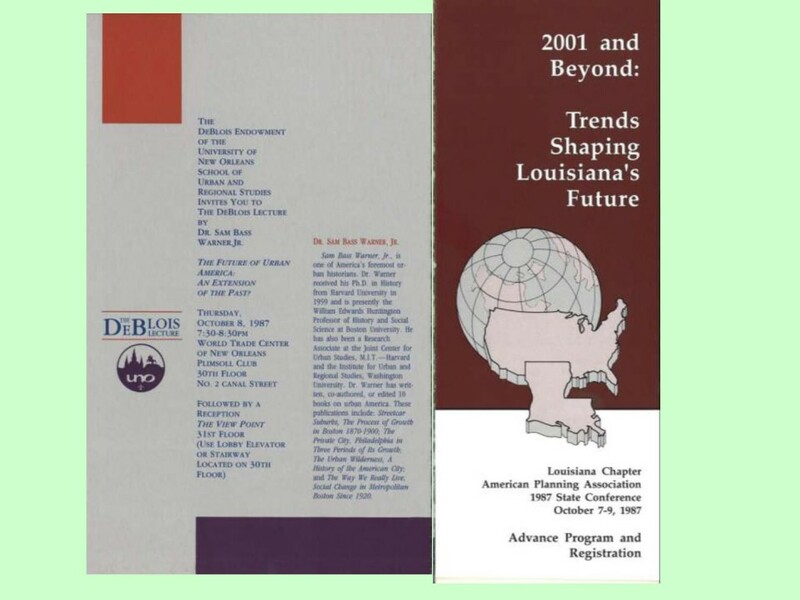 Themes from this conference included riverfront development, flood protection and drainage, and more. 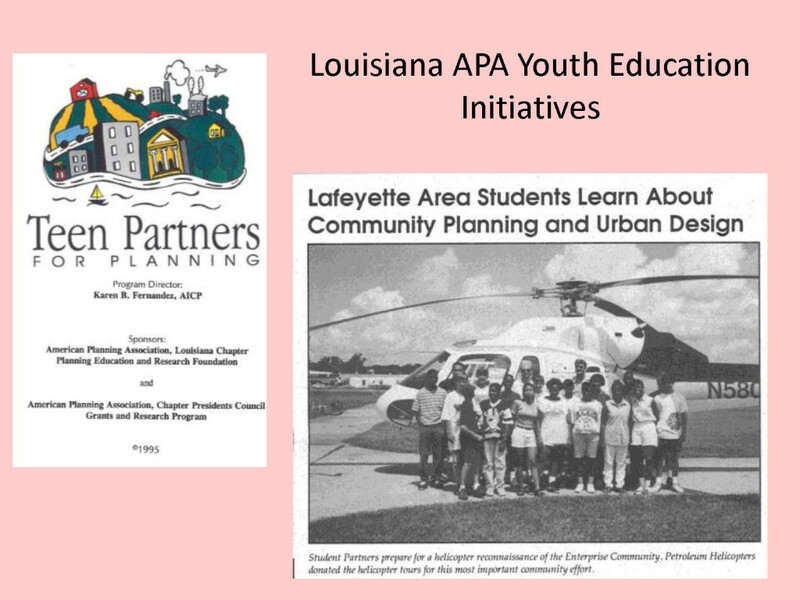 Click the thumbnail to read relevant excerpts from Planning magazine. 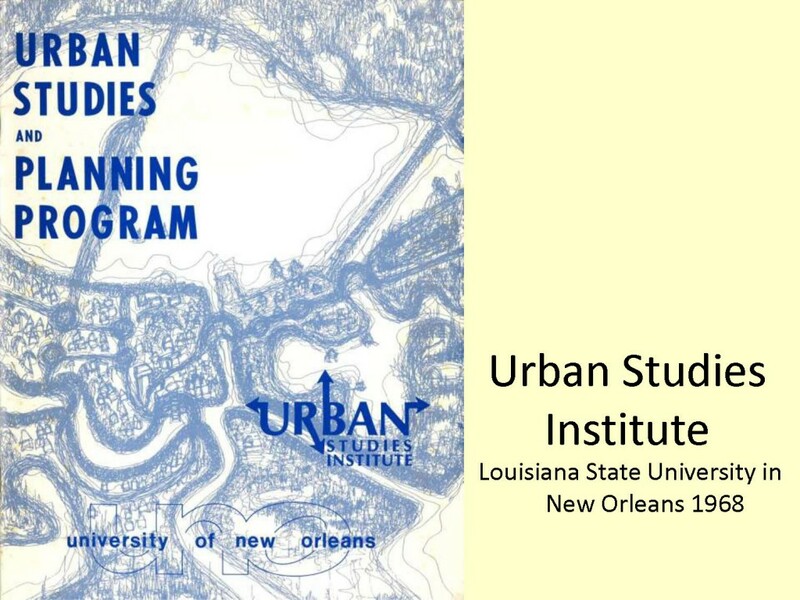 Themes from this conference included coastal marsh reclamation, comprehensive planning, new urbanism, smart growth, social equity, and more. 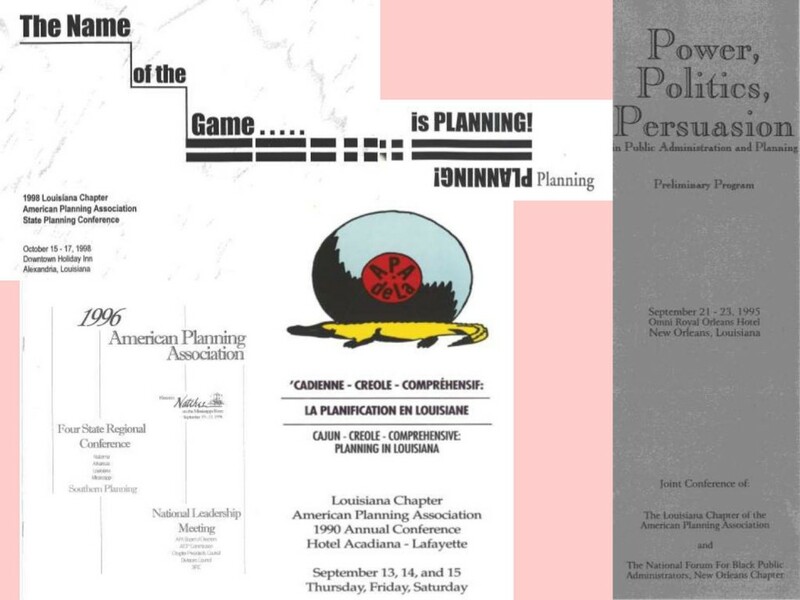 Click the thumbnail to read relevant excerpts from Planning magazine. 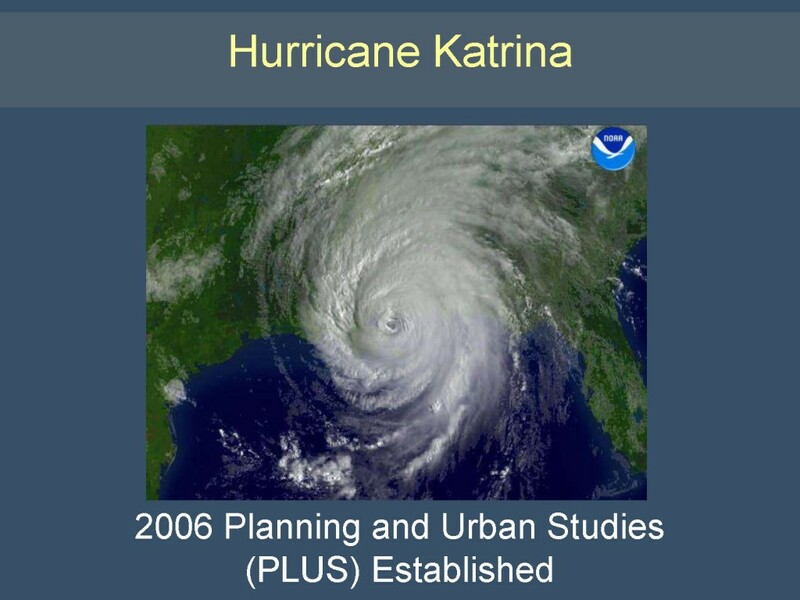 Taking place five years after Katrina, much of this conference focused on lessons learned from the storm recovery efforts in New Orleans. 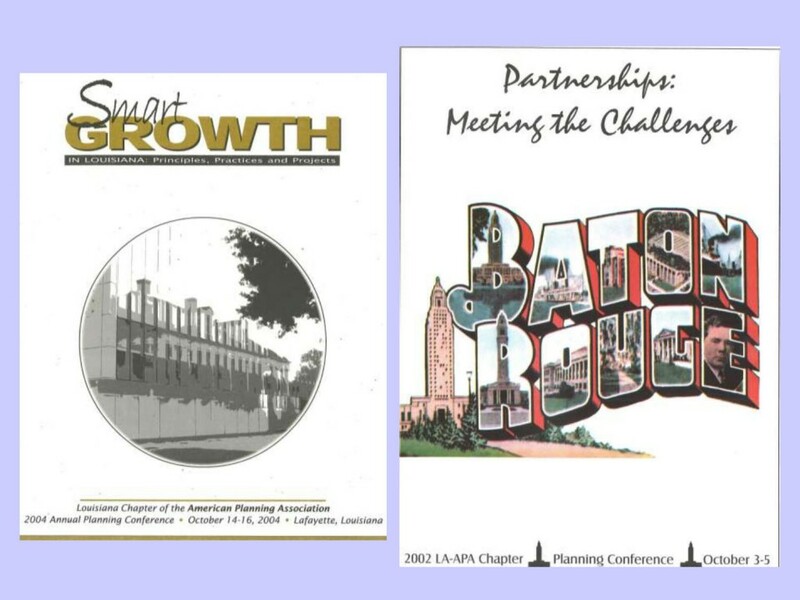 Click the thumbnail to read relevant excerpts from Planning magazine. 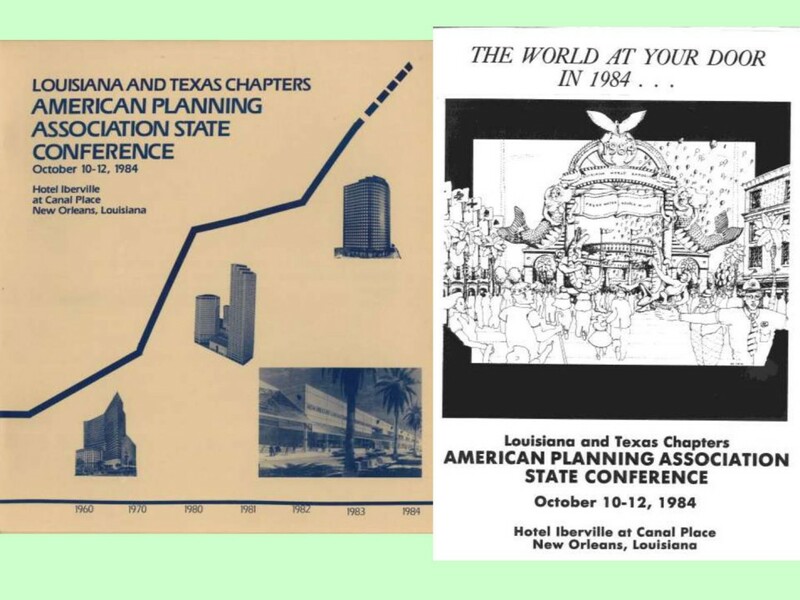 Louisiana is anticipating the 2018 National Planning Conference April 21 - 24 in New Orleans coinciding with the city's tricentennial celebration! 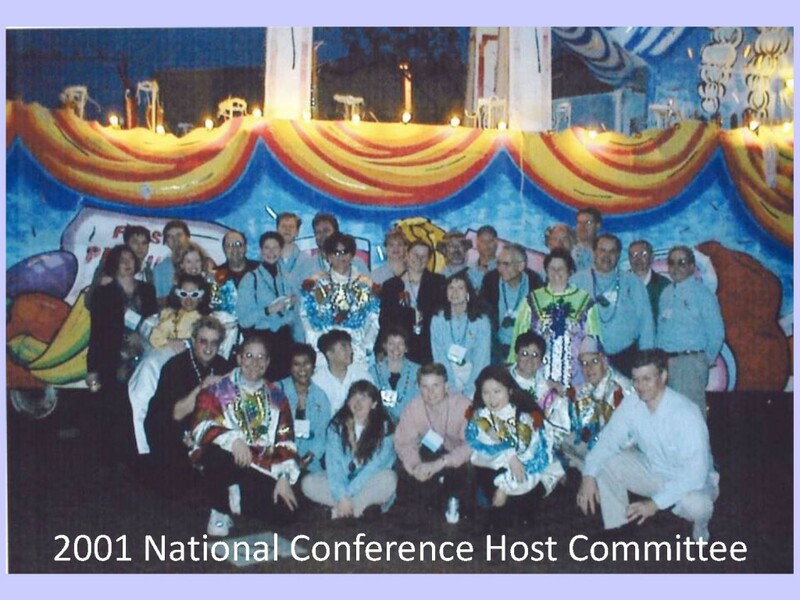 The theme is "Strong Roots. 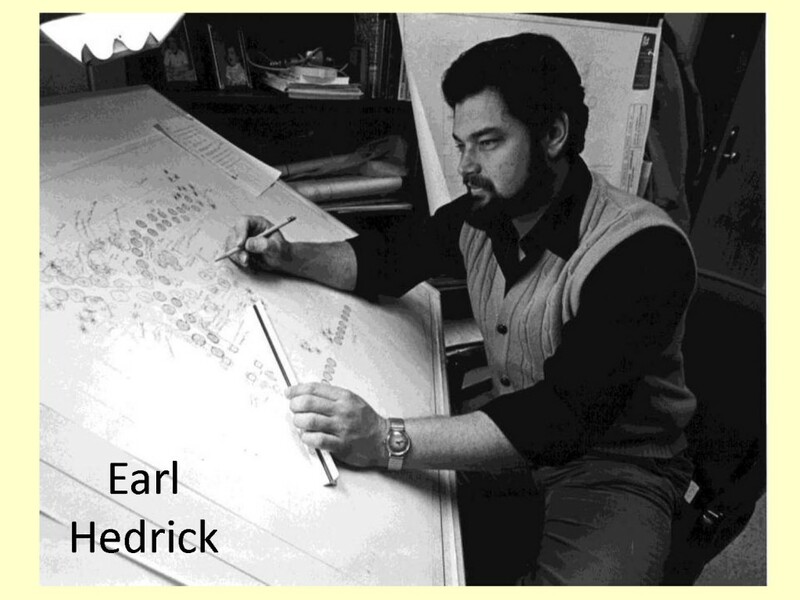 Big Plans."